For the first time ever, Made in America is coming to the west coast in Los Angeles! This is crazy because the festival only started in 2012 in Philadelphia! 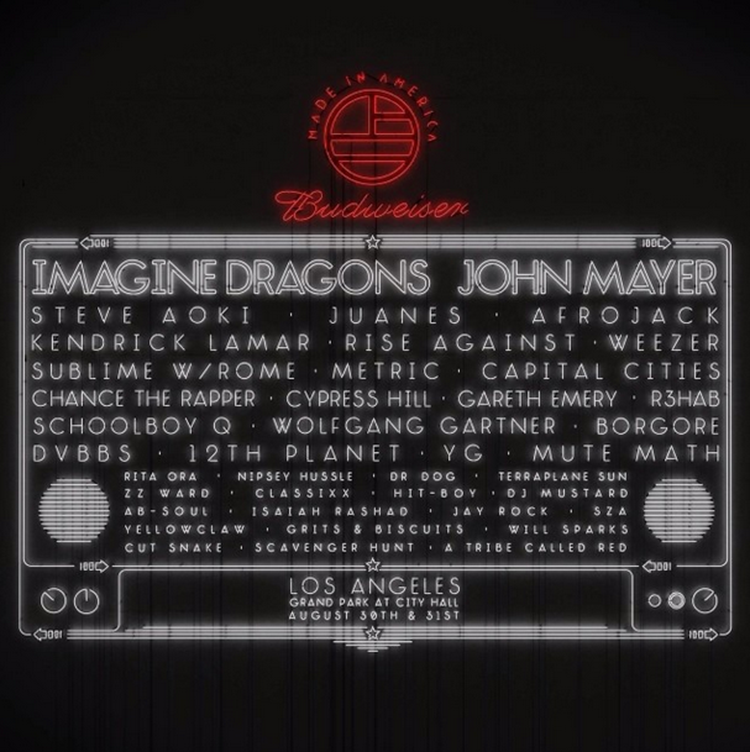 This lineup seriously competes with the Philadelphia lineup, but it looks like there are a number of similarities as the artists are playing both Philly’s and LA’s Made in America. Although, this one has Imagine Dragon, John Mayer, Sublime, DVBBS, Yellowclaw, Schoolboy Q, Wolfgang Gartner, Borgore, and more! This is a festival you seriously need to check out!